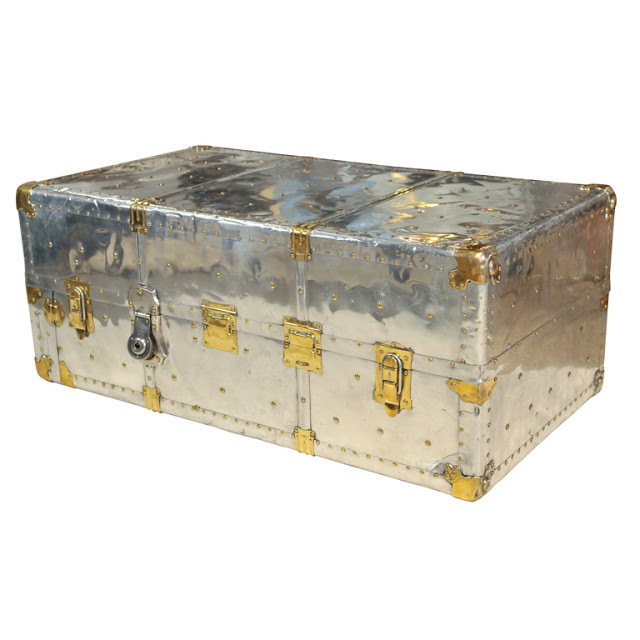 Vintage trunks are unique pieces that add a bit of flair to your design. They can work best as end tables or decorative pieces in your bedroom, living room, library or study. Below are some RGI finds that we think would look amazing in your home. One of a limited edition of trunks superbly made by hand with an original Britannia Silk sail designed and manufactured by Ratsey & Lapthorn for the J-Class Yacht Endeavour II in 1937. This piece is ideally as coffee table in a Naples beach house. 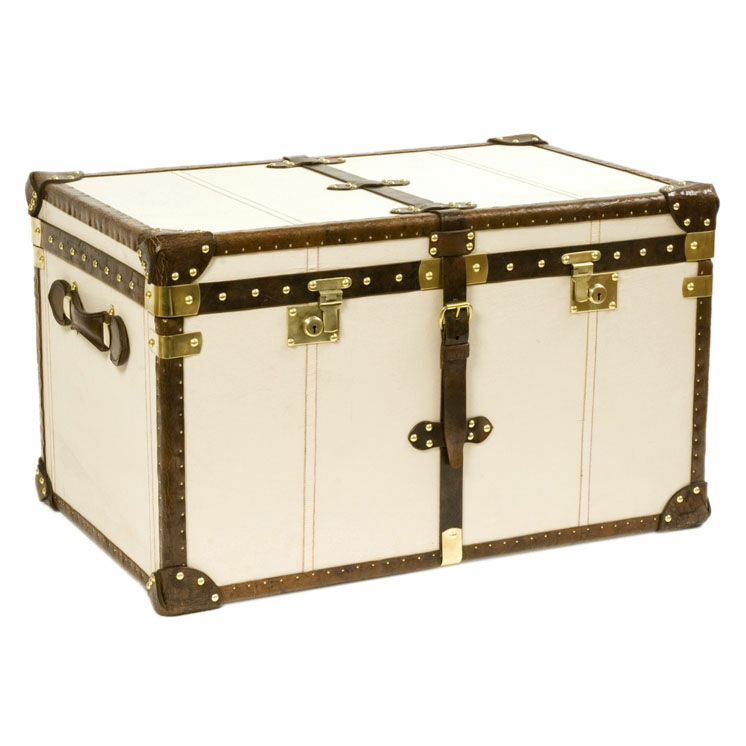 I love these vintage trunks from the Golden Age of Travel. 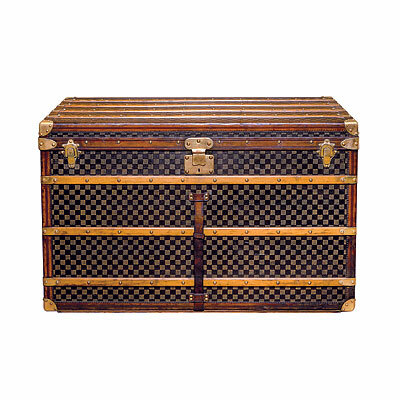 Steamer trunks such as the one above were common sights at railway stations and major docks around the world. 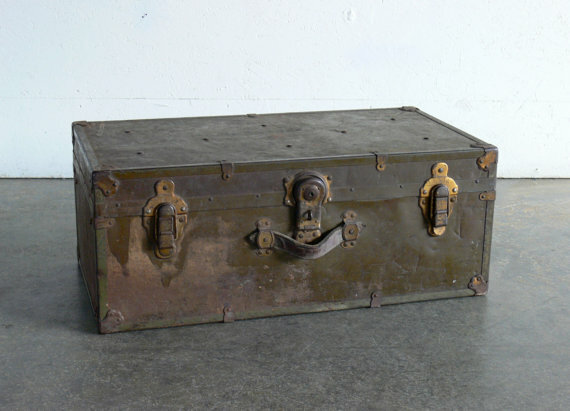 Military Trunks come in various shapes and sizes. They have plenty of character and create nice conversation pieces. I personally would look for ones with some slight rusting and worn metal in designs such as the one above. Below is a rare find but if you were lucky enough to get ahold of one these it would make an amazing statement in your study. 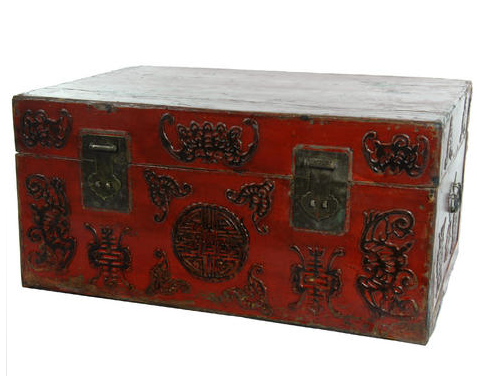 There are many extraordinary Chinese antique storage trunks. Below is a refurbished and refinished one in a nice distressed style, detailed with auspicious Shou medallions and bat symbols to attract luck and prosperity. 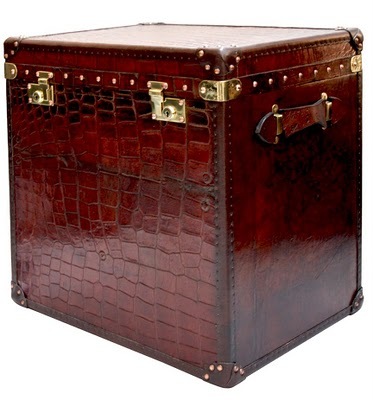 One from a pair of exceptionally well made trunks faced with an ancient and superbly colored antique crocodile hide with particularly large scales and vintage leather. Hand Crafted Bookbinding. A Forgotten Art. There is the age old saying “Don’t judge a book by it’s cover”, I think I may have to disagree…..
Hand Crafted bookbinding is an art form that dates back to the Fifteenth Century when Guttenberg set up the first printing presses. Since then, not much has changed throughout history and fortunately this tradition still exists in some rare workshops scattered throughout the world. As you know, I am heading to Italy and cannot wait to visit the Cartoleria Pantheon Stationery Shop in Rome. They will bind anything I bring to them on the spot and have a very quick turn around so I will be able to take my new, customized books home with me. Not heading to Rome anytime soon? 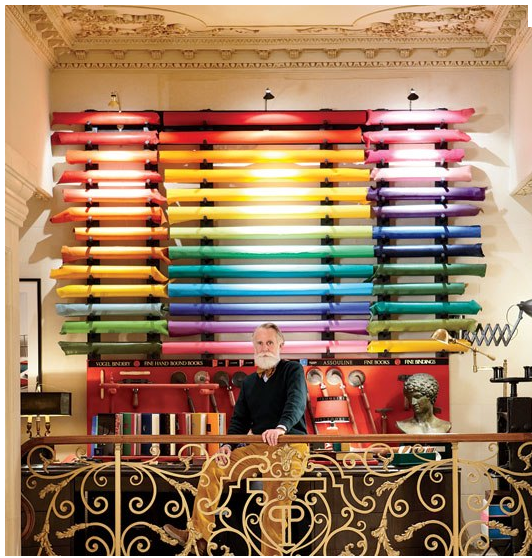 The Plaza hotel in New York houses the Assouline Bookbindery where they also use these centuries-old techniques. 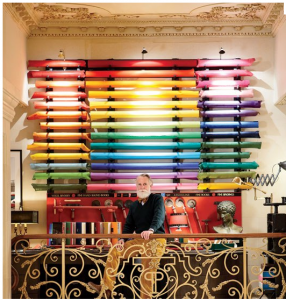 This picture was featured in Architectural Digest showing all the beautiful vibrant colored leather and the artisan, Paul Vogel. Naples at Your Fingertips. The Water at Your Feet.